I'm getting the interactive guide, I'm getting TV1, 2, Prime and Stratos but nothing else - including TV3 etc. 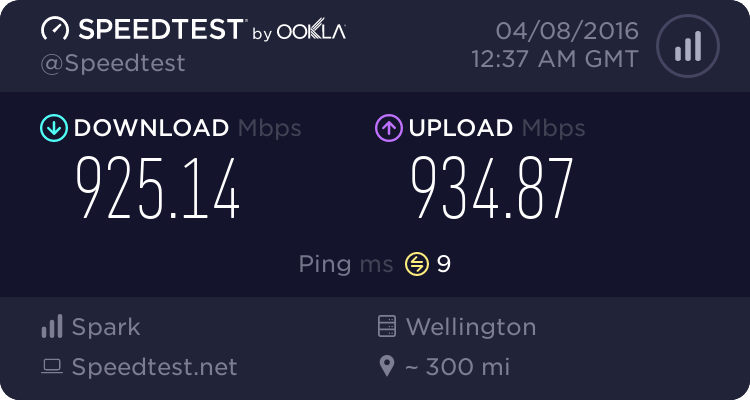 I have a satellite connection (strength is there plus getting those channels/guide etc). I'm only connected over the dish feed (i.e. don't have aerial connections in use). Sky are going to send a technician and charge me $80 so any ideas? Just guessing, but sounds like a smart card problem. Take the card out and put it back in making sure it goes in correctly. If the dish wasn't lined up right I'd expect you'd got the atmospheric conditions message, not that one. I have seen it before when people have had sky put on hold while away or if decocder is put in storage while between houses. When I shifted house and plugged in the decoder, I got similar problems to you. I called them and they got me to change a setting on the decoder. I'm sorry, but I can't remember what it was, but it fixed it straight away. Looking back, I probably have a different LNB here than what I had at the old place. right, thanks guys - I thought they should be able to fix from their end. have removed smart card a couple of times as well. could it maybe be the LNB-type settings? Would have thought it would have been all or nothing there though, not just TVNZ! Gareth I suspect you are confusing lots of detail, you say you can get 1,2 Prime and Statos, are these via the Sky STB or off air. From what you say I suspect the issue is simply one of LNB setup, checkout my comments in this thread. Its most likely that your previous address had a 11300 LNB where as your new one has a 10750 one, or vice versa, the above link explains how to select between the two. Cyril, those channels are certainly coming through the STB - will give your LNB setups a go. Thanks. If it doesn't work with what Cyril said, I suspect delivery Guy is correct. Try giving sky another ring tomorrow. You probably lost some data due to having decoder unplugged for long time, just need to get them to suscribe you to channels again. Get someone different on phone and you could get different answer. If the LNB settings were wrong I don't think you'd get any channels. I just fail to get how I can possibly recieve 1 and 2, but not 3? I could maybe understand if I received all free to air or something? rugrat: If it doesn't work with what Cyril said, I suspect delivery Guy is correct. Try giving sky another ring tomorrow. You probably lost some data due to having decoder unplugged for long time, just need to get them to suscribe you to channels again. Get someone different on phone and you could get different answer. yeah, will give that a go - especially considering that the guy I talked to had relatively limited knowledge. Kept telling me to check the connection types from STB to TV - tried to explain a few times that I was definitely seeing the decoder output just fine! so when he insisted on sending out a technician I tried to get him to agree that if it was found to be a setup issue at their end (or decoder failure) that I wasn't going to pay a thing, but he wouldn't! TV3 and Prime Sky 1 are all encrypted, Tv1 and Tv2 aren't. I bet you can pick up freeview channels as well, Cue, Stateos, Parliment TV as these don't need the NDS encyption on your smart card. I'd say the person you spoke to at sky didn't understand the situation. Just give them another call. Bang on - exactly the channels I can get. Right, will call them tomorrow and tell them that I am receiveing un-encrypted Freeview stations but nothing else. I have had the same problem as well with sky when I was a subscriber I went on holiday for a month and unplugged everything including the STB. What happens is Sky "rolls the keys" for the Video decryption every 2 months or so. What happens is if you sky box is switched off for that length of time it doesn't "see" the new encryption keys as they are sent, and normally sky spend 3-4 days re-sending those keys. If you box isn't on during that time then you will need to ring sky up and say that you have left your sky box off for 2-3 months or so and that you can't see the channels you are subscribed to. Normally it's not a problem as most people always leave their sky boxes switched on, and the key updates just happen in the background. After spending 5-10 minutes explaining that yes you really did leave your box unplugged, and bla bla bla. They will send down a "re-key" message over the satellite to your smartcard, and hey presto it will be up again, just leave it on TV3 which is an encrypted channel. Takes 2-3 seconds when they decide you really did leave your box unplugged and it will be up again.